You must make reservations at least 5 minutes in advance of the time at Bob's Steak & Chop House - San Antonio. Complimentary valet parking is available every evening. 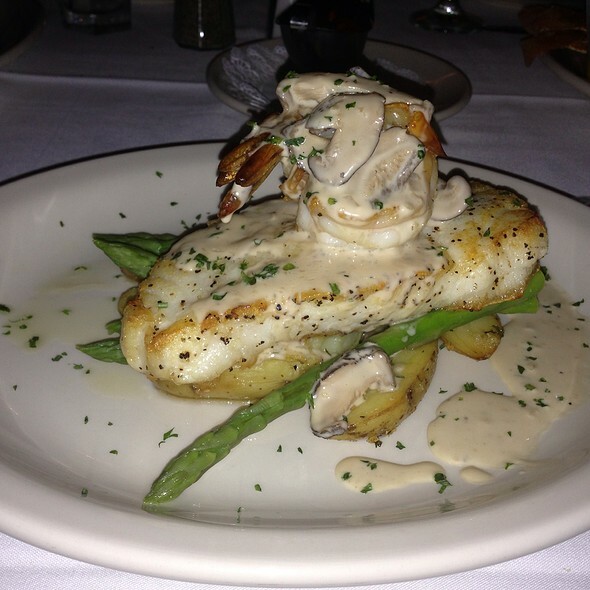 Bob's Steak & Chop House has private and semi-private rooms to suit any occasion. Special prix fixe menus are available. Call Kim Boxx at 210-222-2627. Bob's Steak & Chop House can cater to your VIP events. 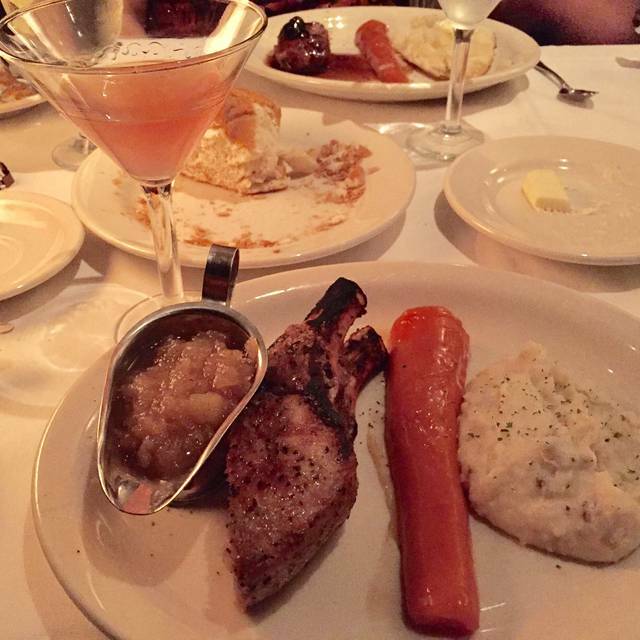 What makes Bob's Steak & Chop House different than every other "Prime" Steakhouse? 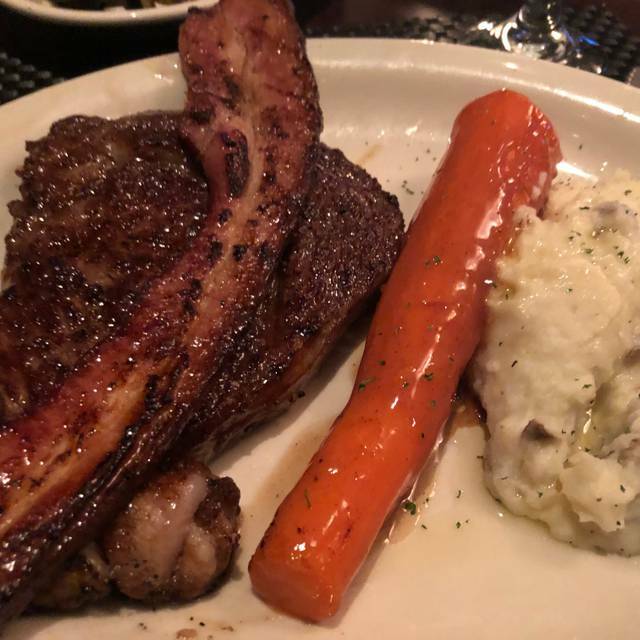 Bob's is San Antonio's only Exclusively USDA Prime Steakhouse - we are 100% Prime, 100% of the time! 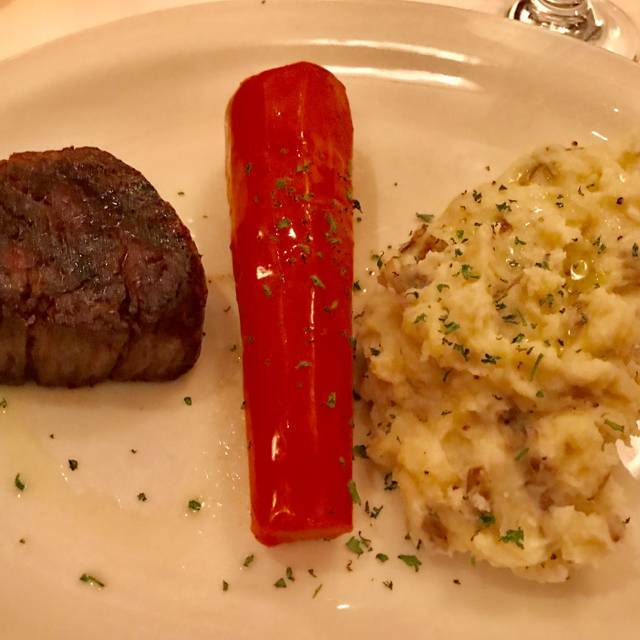 Every single steak, every single day - including our Prime Filet Mignon! Bob's is ranked as one of the top steakhouses in the United States. 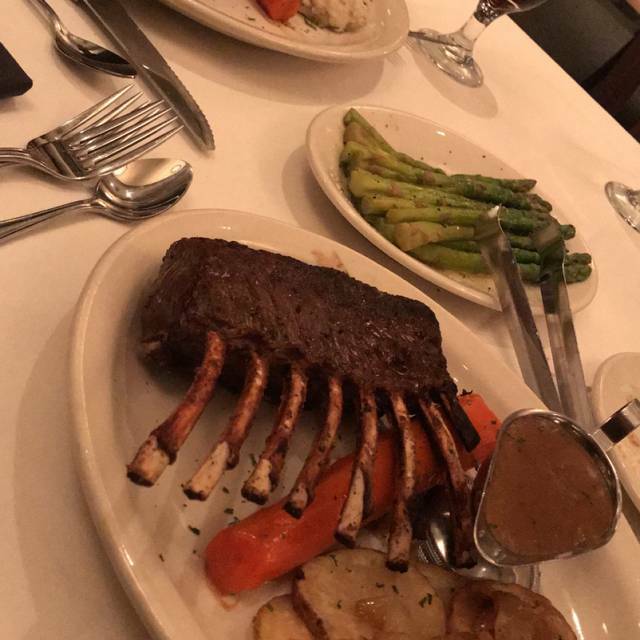 We're the epitome of the traditional American Prime Steakhouse, combining simple elegance, lively atmosphere, big drinks, fine wine and large cuts of the finest USDA Prime steaks, chops and seafood. Bob's-San Antonio has an amazing wine selection - we received the 2015 "Best of Award of Excellence" from Wine Spectator Magazine, and we're one of only two restaurants in SA to be so honored. Everything about Bob's is authentic, from our awesome vintage American Flag collection to our amazing cuisine! Come visit us and enjoy the finest prime beef you've ever tasted, served by people who take real pride in the name "Bob's Steak & Chop House." Too bad that the outstanding service and great wine selection was overshadowed by a sub-par steak. 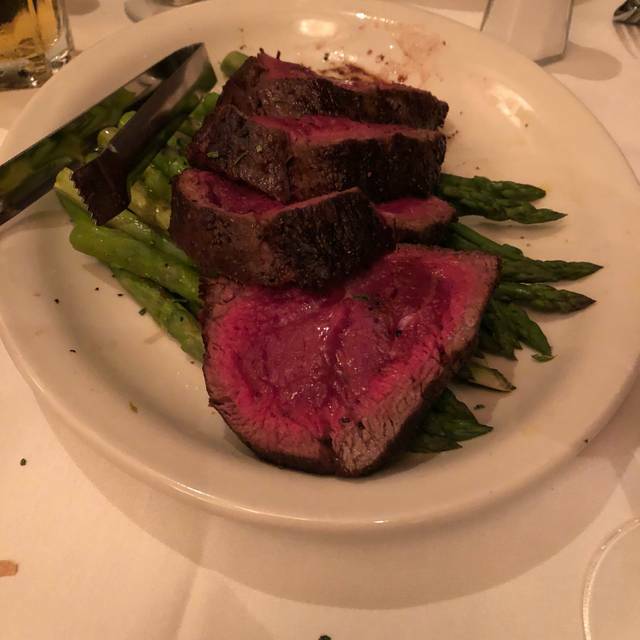 This was my first time to Bob's and I cannot put it in the same category of many of the other great Prime steakhouses I have dined at. My ribeye was tough and fatty and yes, I know that a ribeye is supposed to be well marbled by marbling does not mean that you have the amount of gristle and fat you would expect to get from a lower grade of steak. Bob’s has been our go to place for birthdays and special occasions. We were extremely disappointed this time. With tip, for four people our bill was nearly $600. With that, I ordered the 8 ounce fillet for $69. I ordered it medium,which is supposed to be warm and pink in the middle. I had to send it back because it was medium rare. My husband ordered a different steak medium rare and his was cooked medium. 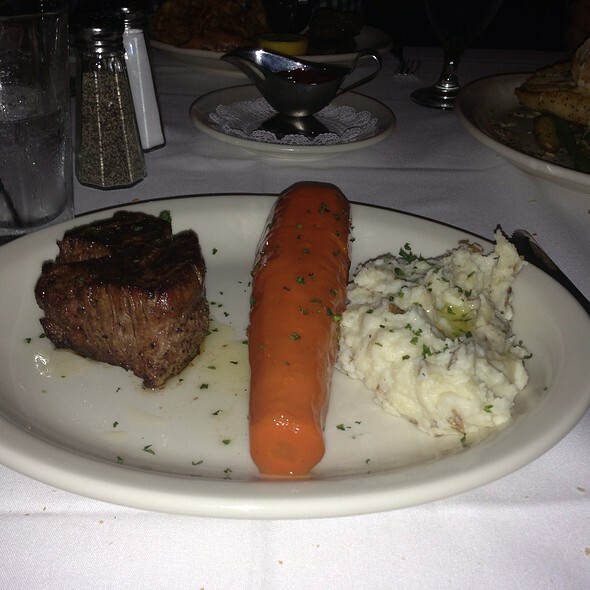 Our waiter was great and they took my steak off the bill, but it was extremely disappointing. Until this time our food has always been perfectly cooked. Love going to Bob’s! Food is amazing and always consistent. Service was spectacular and food was very delicious! I give them ⭐⭐⭐⭐⭐⭐⭐⭐⭐⭐ 10 stars! Amazing! Stephanie was so attentive and made our evening so special. She had the best recommendations and the entire staff was so accommodating! Great food. Great service. Great atmosphere. Thank you for a very nice evening! Wonderful food and David was very helpful and pleasant! Anniversary dinner was very nice! Food was great! 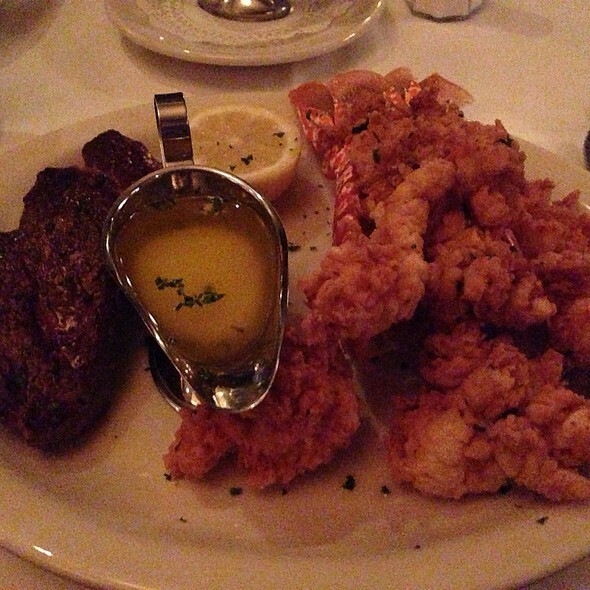 The lobster and filet that I had were cooked to perfection! I always enjoy Bob’s Chop House; the food and service are always spectacular. My most recent experience, however, was diminished by the very noisy tables around us; so loud at times that my guest sitting across the table from me, and I, could not hear. It was tough to have a conversation. I always request a table in the room in the back, which is always quiet. This time, we were seated in the front room which our congenial hostess said was their flag room. The noise level was awful. I will continue to request the back room. I will continue to recommend this restaurant to my friends because the food and service are so great. Our server, Paul, and his team, were fantastic. This was our first time there! The food was amazing and the service was top notch. We will definitely be returning and this is our new favorite spot! Very very good steak. Best we have had in a long time. Enjoyed everything about our dining. I marked it was our anniversary but they didn’t acknowledge that. Kind of disappointed but was still a great experience. We have eaten at the Bob's in Plano, TX before to celebrate a birthday/anniversary. We were in the San Antonio at the Rim location recently to celebrate my mom's birthday and our anniversary. I don't want to say that the experience was bad, but it wasn't up to the standard that I expect from Bob's. The food was prepared well and the service was ok but not stellar. I left feeling a little disappointed. Overall great. Will definitely go again soon. Food is alway top rate but was not impressed with the waygu at all. It was our anniversary and we discovered Bob’s last year. Food and service was fantastic. They even gave us a card signed by the staff and a free desert for our anniversary. It is a little expensive but well worth it. Dined there 4 times in the last 2 months. Never disappointed! All I have brought there have said the same thing “That was the best steak I have ever tasted”. Service is outstanding. I have seen tables for special events. Rose petals on the table. Nice touch! I will return again and again. The service was excellent from beginning to the end. We celebrated our 26th Wedding Anniversary. Food was delicious and staff went the extra mile to set up our table with rose pedals and anniversary card signed by the staff. Awesome! Thank you very much. My wife and i both enjoyed the experience. Service was excellent. We could not eat it all and our server was very obliging in providing 'to go' packages. Excellent service and amazing food. Can’t say or find not one thing negative with our visit. Wonderful service, excellent food and drinks. The go to place for your special occasion dinner. Bob’s always delivers in food and service! Our favorite steakhouse! Bar is great, too! Food, service were excellent. Our table was ready for us. A very enjoyable evening! 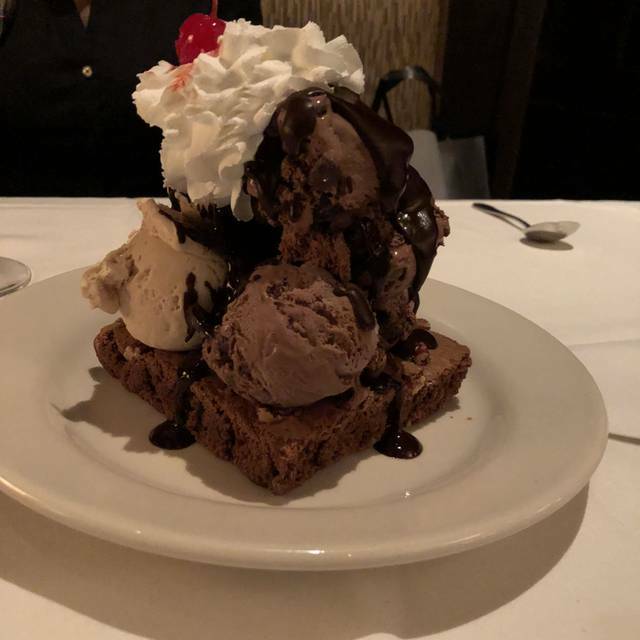 We went to Bob’s to celebrate my wife’s birthday because it is her favorite restaurant. It lived up to our expectations with the excellent food and superb service that we have come to expect. My wife always orders the filet and baked potato, and they were prepared to perfection for her. I ordered the medallion and crab cake combination for the first time, and it was also prepared perfectly. We had a great evening at Bob’s and definitely recommend it. Steaks and service were wonderful! You can't go wrong with the two 4 oz. filet and crab cake entree...AMAZING!!! It was just “okay”. Steak was difficult to cut (12 oz tenderloin). Just not great food. Service was awesome. Dining room was loud overall but with one particularly loud person. Was looking for a place to have a date night with my wife and was recommended to try Bob's Steak house. We weren't disappointed. Good service and great food. Definitely will come back. Daughter and her quest loved their steaks,cooked to their satisfaction. Service was fast and courteous . Loved our server. My wife and I shared the 16 oz. rib eye. Came tough and chewey . Returned . Next cut not much better. Decided to take to go. Next day, cutting in small pieces and browned in skillet, made for a decent Steak & Egg Dish. Hope next visit will be better for us "OLD Folks"
We absolutely love Bob’s and have an amazing experience every time. I visited for my daughter’s birthday, we enjoyed ever aspect of this steakhouse; food and service are unmatched. Been there many times, have always been treated well, excellent food.